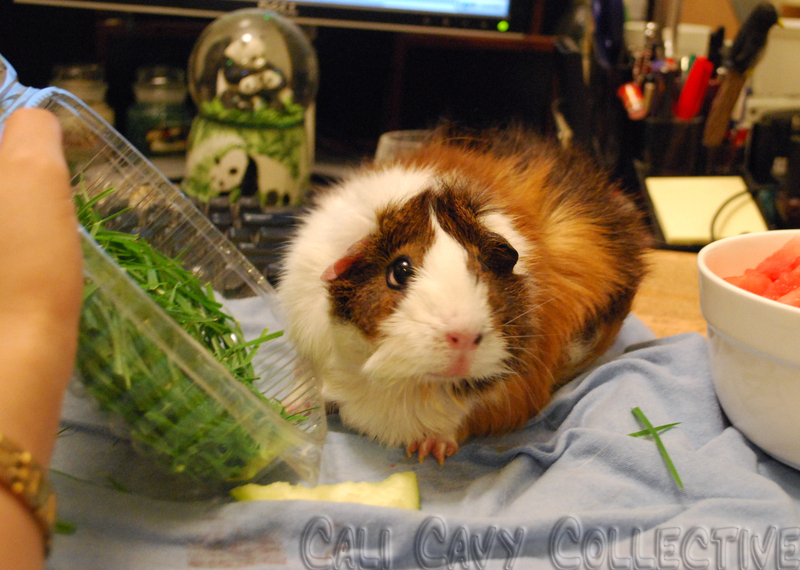 Cali Cavy Collective: a blog about all things guinea pig: Who says guinea pigs don't have table manners? Who says guinea pigs don't have table manners? 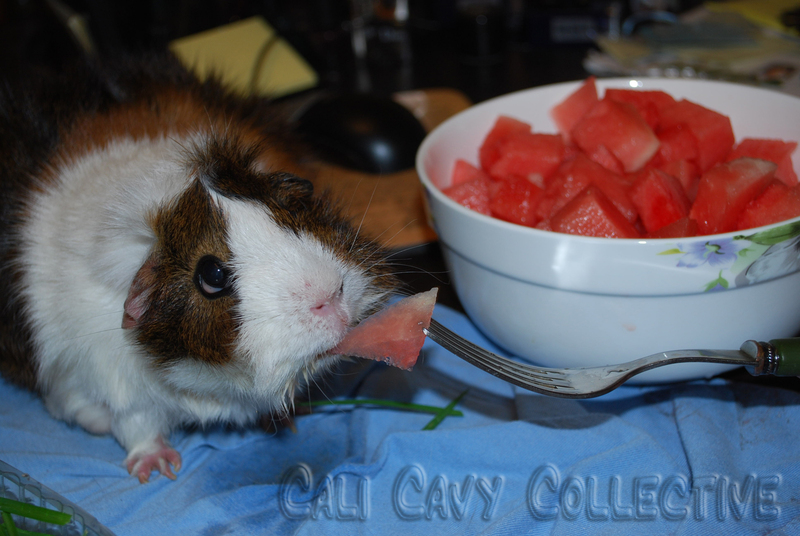 Sneaking a slice of watermelon straight off the humans fork! 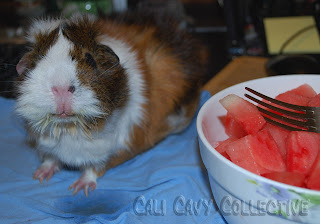 For today's Piggy Pic of the Day, here are some funny pigtures that prove whee guinea pigs do have table manners! As the story goes, our human was studying one day while cuddling Coppy next to her on the desk. They like us to keep them company sometimes when they are busy doing things, so they can talk to us and we can wheek at them. Whee are pretty used to this and don't mind, especially because whee are well compensated for our time with veggie treats, pets, cheek rubs, and compliments. Anyways, as it happened on this particular occasion, our girl happened to be studying with snacks - cucumber and fresh cut grass from the lawn for Coppy, as well as a bowl of watermelon for herself. She was concentrating on trying to decipher some particularly vexing concept when she felt a strong tug and looked down to see Coppy snatching the slice of watermelon straight off her fork! Evidently, the willful Coppy had decided that she wasn't satisfied with her snack offerings, and opted to poach our human's food instead. She continued to eat off the fork for a few slices afterwards, and even agreed to pose for a few pigtures as proof. Which just goes to show that we piggies do have good table manners! "How fresh is this grass?"